Congratulations to Stacy, comment #7 who said she would make Peanut Butter Blossoms! 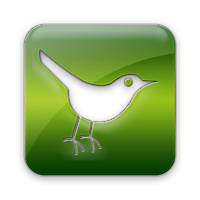 Enjoy your $25 gift card, courtesy of IZEA! Have you tried some of the newest muffins at Costco? 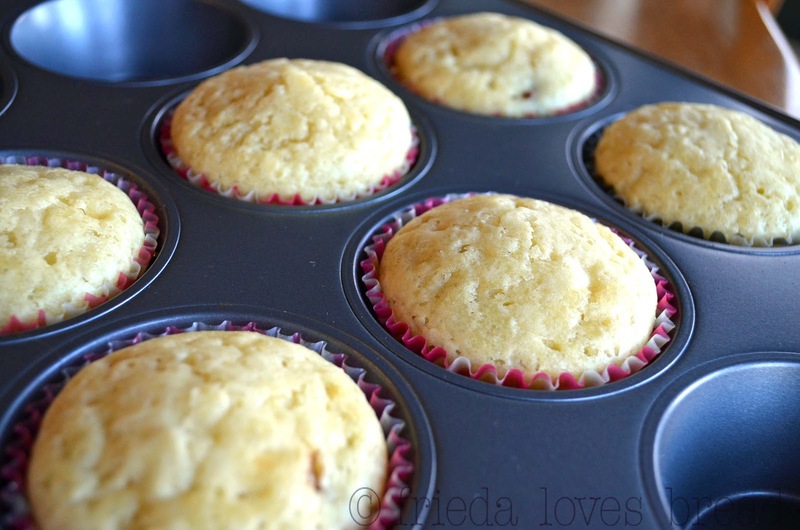 I am especially enamored with their Vanilla Chocolate Chunk muffins, so when I got an opportunity to try Truvia® Baking Blend, this is the recipe I wanted to copy! I first heard of Truvia ® at the Evo Conference and baked their chocolate chip cookies and raspberry bars. Truvia ® is a natural sweetener made from the leaves of the stevia plant, blended with sugar and erythritol that is perfect for baking while saying goodbye to 75% of calories from sugar! Sugar is an important element in baking. It contributes color, flavor and texture, but also calories. Did you know that any excess sugar that your body consumes is stored as fat? 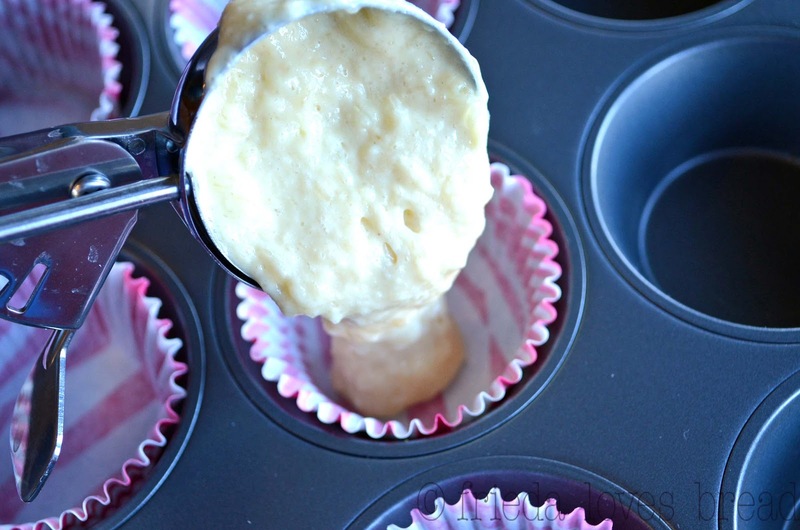 Our family has a sweet tooth, especially around the holidays, so experimenting with Truvia ® Baking Blend has been fun! When you bake with Truvia ® Baking Blend, you only use half the amount of sugar called for in a recipe. In my baking experience, I know that when adjusting a recipe, you need to keep the proportions of wet ingredients and dry ingredients the same. Throw it off balance and you may get a flat, dense or overly wet, soggy product. In making muffins, the first step is to gather all your dry ingredients. 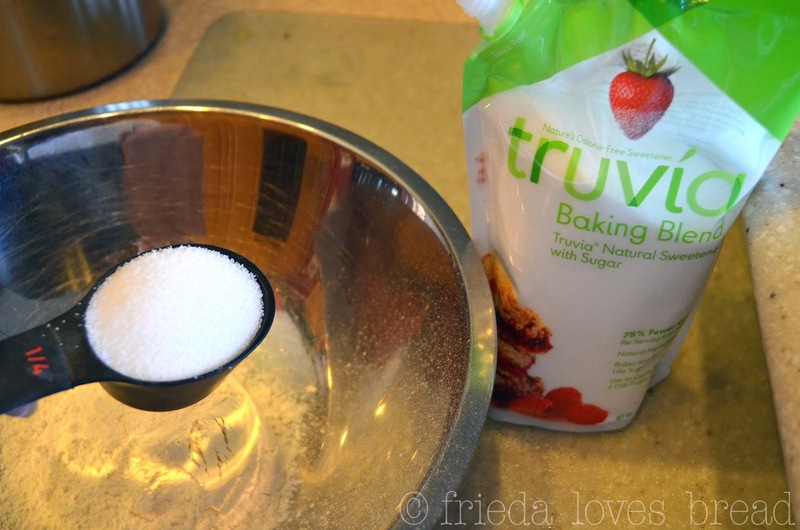 Truvia ® Baking Blend (with its own closeable, easy to use pour spout!) 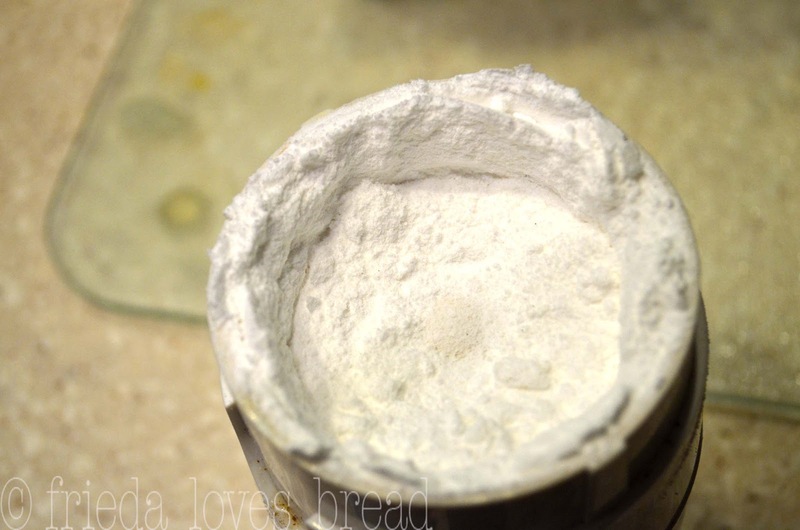 is combined with all purpose flour, baking powder and salt. In a separate bowl or container, combine all your wet ingredients: milk, egg, vanilla and melted butter. 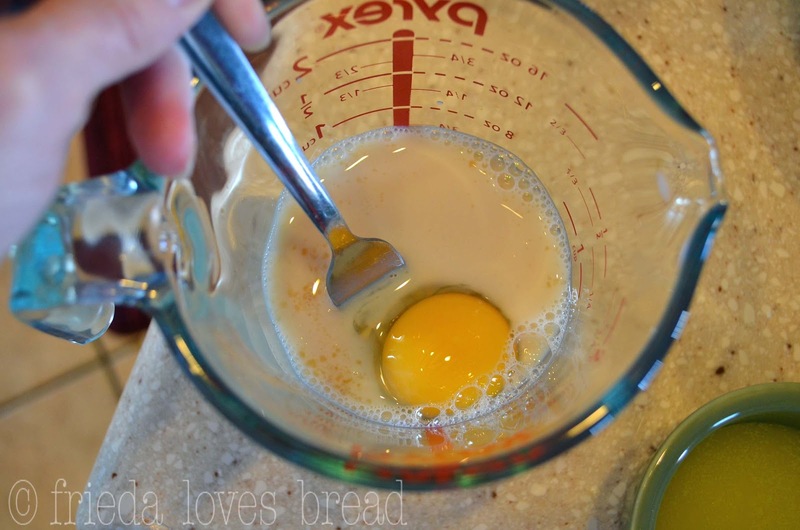 Break up the egg using a fork. Do you want to know how professional bakeries get their goodies to taste so buttery and vanill-y? Buttery Sweet Dough Bakery Emulsion. You use this in place of your extract in recipes and because it is made with no alcohol, the flavor will not bake out. Sweet! 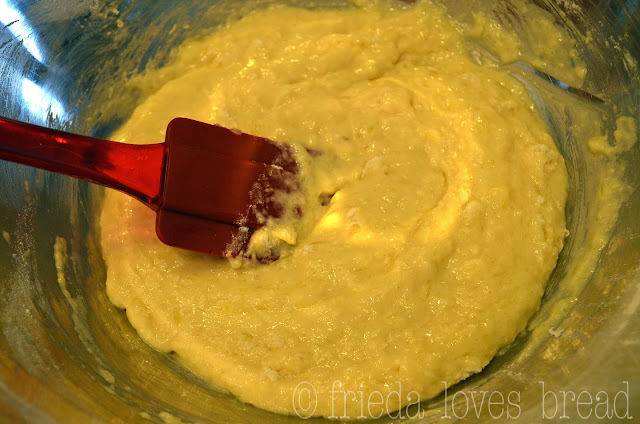 Just pour a teaspoon or so of the bakery emulsion into the milk/butter/egg mixture. Pour the liquid mixture into the dry ingredients and be careful not to over mix the batter. If you over mix the batter, you will create a lot of holes, tunnels, and a pretty dense muffin. It is okay if you see lumps in your batter. I love to use a large ice cream scoop to fill my muffin liners. 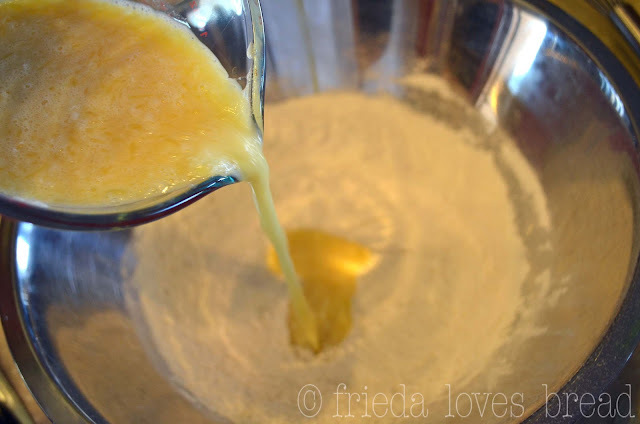 It puts the exact amount of batter I need without creating a big mess! I filled a couple of muffin liners and thought, "Why not add some chocolate chips to the batter?" Here's what the muffins look like before baking. Here they are, fresh out of the oven! Taste? Soft, moist, and slightly sweet. Just the way a muffin should be. 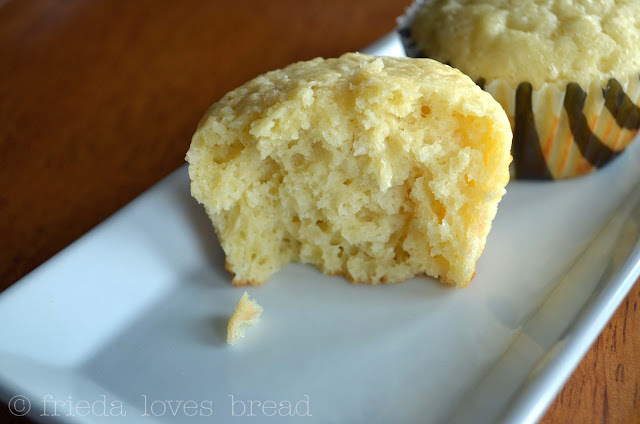 Texture is just like a muffin should be. Not light and fluffy like a cupcake. I remembered seeing a chocolate frosting recipe on the Truvia® site and decided to try it. I cut the recipe into fourths as I was planning to use this frosting as a decoration on top of the muffin, much like the Costco ones. First, Truvia Baking ® Blend is blended with cornstarch in a coffee or spice grinder. I thought about using my food processor, but knew that it would not grind the sugar fine enough. The recipe calls for baking chocolate, which I subbed 3 T. cocoa + 1 T. vegetable oil (for every 1 oz of baking chocolate), then added softened butter, salt and vanilla. Give it a stir and hooray! It looks like chocolate frosting, but does it taste like chocolate frosting? It does taste like chocolate frosting, although the texture is not as creamy...there were still bits of grainy sugar and that could be due to my spice grinder not blending the sugar very well. There is a very slight aftertaste from the Truvia, but it is not as strong as other low calorie sweeteners I've tried. 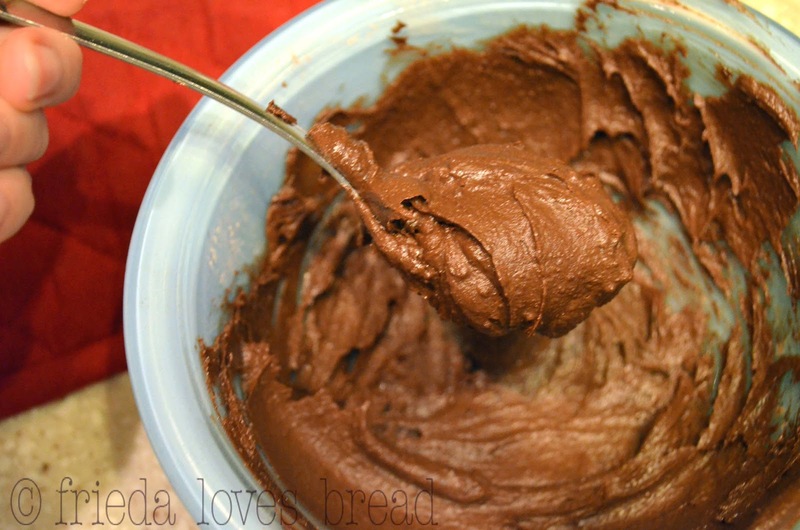 This is still a good low calorie chocolate frosting! 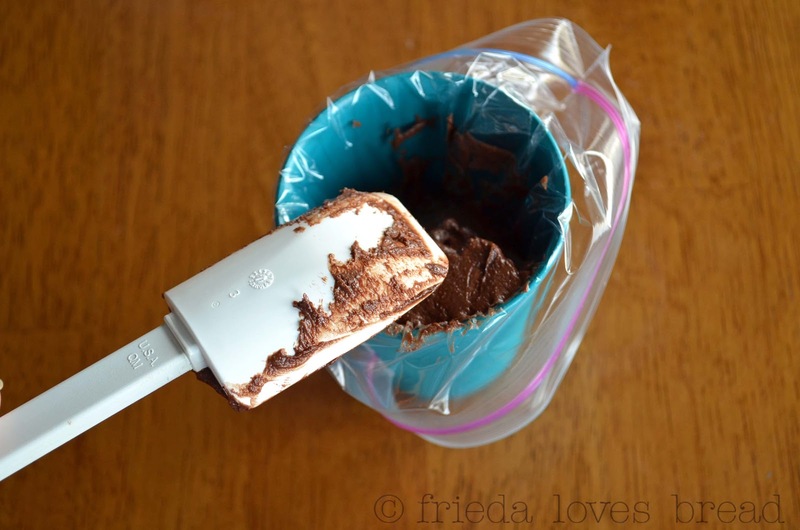 Spoon the frosting into a plastic baggie lined cup and made a small snip in the corner. Mmmmm.... this is one dang good muffin! While my family enjoyed the large chocolate chips, I would prefer the regular or even the mini chocolate chips next time. Truvia Baking ® Blend comes in a 1.5 pound bag that will sweeten up to 7 cups of your holiday baking! That's 9 batches of cookies, 6 batches of brownies or 28 batches of these muffins! 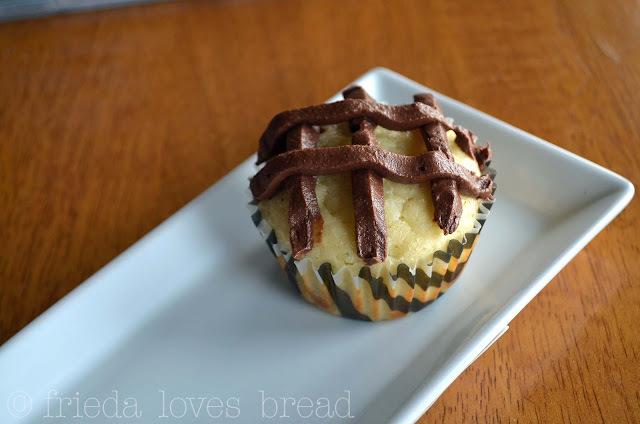 In a medium bowl, combine Truvia ® Baking Blend, flour, baking powder and salt. In a separate bowl, combine milk, melted butter, egg and vanilla. Whisk egg with a fork. Pour the milk mixture over the dry ingredients. Stir till just combined; do not over mix, lumps are okay. 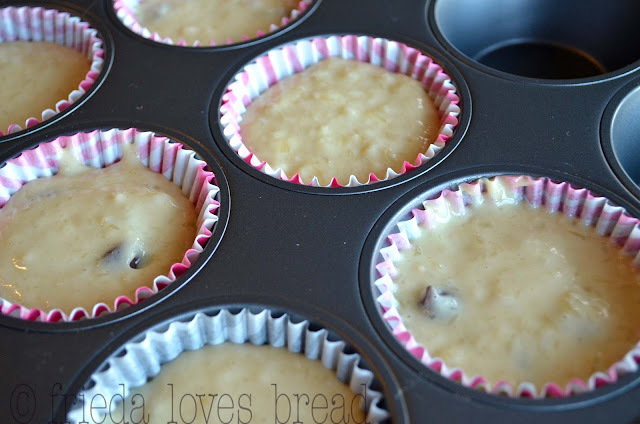 Fill paper lined or greased muffin tins 3/4 full with batter. Bake at 375°F for 15-20 minutes. Let muffins cool for 5 minutes in pan, then turn out onto cooling rack. Top with Truvia Baking Blend chocolate frosting, if desired. Combine Truvia ® Baking Blend with cornstarch in a coffee or spice grinder and grind till very fine. 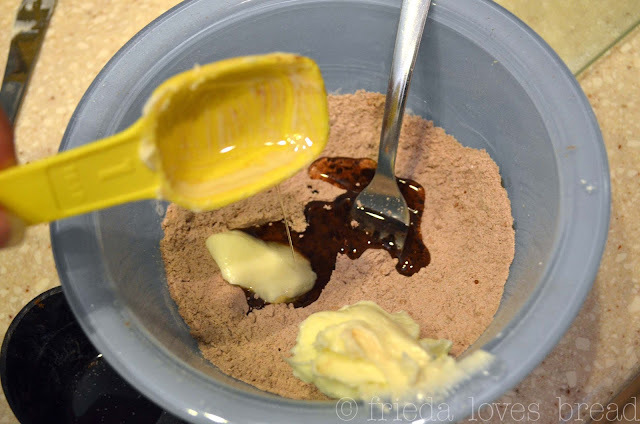 Pour into a medium bowl, add salt and cocoa (if not using baking chocolate). Mix in butter and vanilla. 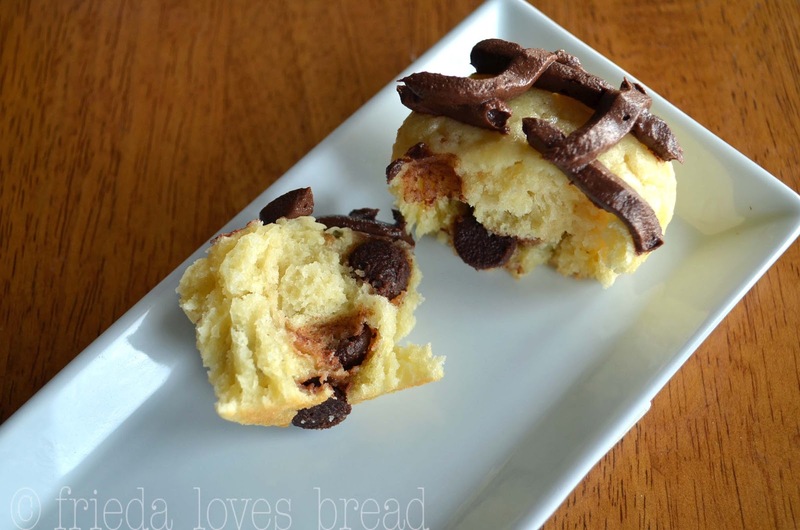 Would you like to try Truvia ® Baking Blend? I'm sure you do! 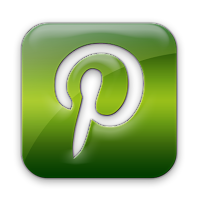 All you need to do is leave a comment on this post telling me what holiday cookie/dessert you are most excited to try re-creating using Truvia ® Baking Blend and IZEA will choose a winner for a $25 gift card to the grocery store of their choice on December 17, 2012! If your profile does not include an email address, please include it in your comments (ex: friedalovesbread[at]gmail[dot]com) so IZEA can get a hold of you if you win! Good luck and enjoy your holiday baking! I'd like to make red velvet cupcakes. I'd like to recreate gingerbread cookies. I'd probably make the yummy muffins you made and brownies. 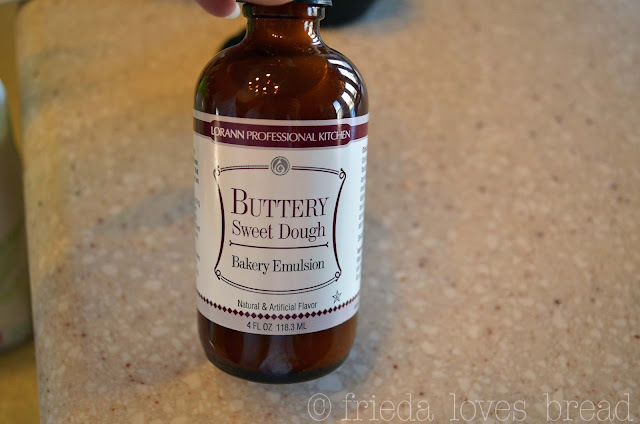 BTW...where do you buy the Buttery Sweet Dough Bakery Emulsion? Orson Gygi? I may have to get some!! Cindi, you can get it at Orson Gygi or at Honeyville Farms in SLC. I think it is under $6 a bottle. It is good stuff! Thanks Frieda! I need to go to Honeyville Farms anyway! That stuff looks wonderful! Cool! I just looked at this Truvia the other day at the grocery store but ended up putting it back on the shelf since I just didn't know anything about it. Now I'll definitely grab some next time I'm out. Thanks! And your muffins look perfect. I believe the Christmas sugar cookies need a little Truvia treatment this year. I make brownies, cookies and quick breads at holiday time and would be so happy to cut down the sugar in each one! I know we don't need all that sugar and this would be great!! Would love to try it and see if they come out the same! Thank you!!! A good rice pudding recipe. 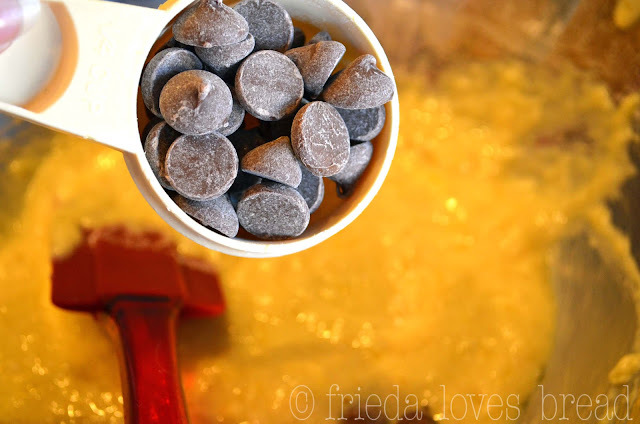 I can't wait to maker my Chocolate Yule Log with the Truvia ® Baking Blend! It's going to be beautiful and yummy! I'd like to redo peanut butter cookies! My pick would be lemon poppyseed muffins. Love them and haven't had them in ages. I didn't know Truvia had a Baking Blend, how perfect for holiday baking! Some yummy craisin white chocolate cookies! I'd use it in making those cookies where you put a Hershey kiss on top or molasses cookies if it would work for that. I think you may be referring to the ever popular cookie known as "Peanut Butter Blossoms!" I'd like to make banana bread with it. i want to try apple cinnamon crumb cake! Thanks for a super giveaway!